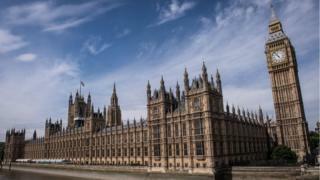 This strand of the Independent Inquiry into Child Sexual Abuse (IICSA) in British institutions is looking at allegations linked to Westminster - and whether there has ever been a cover-up. Mr Hulbert worked for the Voluntary Services Unit (VSU) - the body responsible for deciding which UK voluntary organisations should receive government funding - during the 1970s and 1980s. "[Alan Davies] and I got on well and used to talk informally about things we were working on," Mr Hulbert continued. "I believe, though I cannot be sure, that it was during one of these informal chats over coffee that I discovered the unit was funding PIE - about which I knew little except that it was an organisation campaigning for the lowering of the age of consent to four." He said the payment to PIE had been listed in the "grant renewals" section of the spreadsheet and marked "WRVS (P.I.E)". WRVS stood for the Women's Royal Voluntary Services organisation. "This seems improbable but if the intention was to conceal the grant, then to use a cover organisation like WRVS whose grant was one of the largest might have been an option," he added. He said he was told by Mr Hindley that the group was being funded at the request of Special Branch to allow it to keep an eye on its members - a claim that the 2014 independent review could not rule out, saying it would be "odd but not impossible". Mr Hulbert also said that PIE published a magazine called Magpie, and he had seen a copy in the VSU's London offices. Mr Hulbert was approached by police after he contacted the BBC in response to the 2013 screening of a film about one of the founding members of PIE - social worker Peter Righton. Questioned about his original statement to officers in which he spoke of having a "hazy recollection" of a spreadsheet detailing PIE as an indirect recipient of WRVS funding, Mr Hulbert said his recollection had "become clearer as time has gone on". He said: "I have a very visual memory - I have a very clear memory of the entry on the sheet." Later, the panel heard about a statement given to police in 2014 by Alan Davies - who has since died. Mr Davies said then: "I cannot recall any funding or any paperwork in relation to PIE funding whilst I worked there. I also cannot recall Tim Hulbert ever being shown a spreadsheet, ledger or any document about PIE funding or grants by myself." Asked to explain the discrepancy, Mr Hulbert said he was ''appalled" and could not explain why Mr Davies' memory was markedly different from his own. "I cannot offer an explanation except the most charitable one, that the man was very ill when a lot of these statements were taken, and that he may as a result, have been very confused."